Chelsea loanee Tiemoue Bakayoko has talked up the possibility of securing a permanent move to Italian Serie A giants AC Milan. The 24-year-old spoke about his desire to stay with the seven-time European champions in an interview with Italian media outlet Corriere dello Sport. Tiemoue Bakayoko revealed that it would be a dream come true for him to secure a permanent transfer to the San Siro. 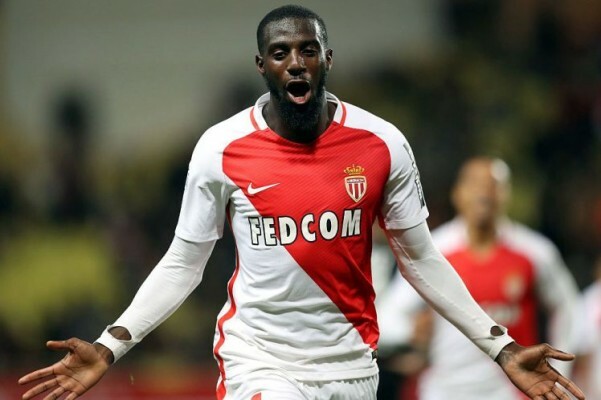 Frenchman Bakayoko rose to European prominence with French Ligue 1 giants AS Monaco during the 2016/17 season. He was part of the Monaco team that won the league title for the first time in 17 years during that campaign. Tiemoue Bakayoko also played a big role as Monaco reached the semifinals of the Champions League for the first time in 13 years before they were knocked out by Italian Serie A champions Juventus. His Monaco form earned him a £40m move to Chelsea at the start of last season but the move proved to be a step too far for him as he flopped badly at Stamford Bridge. Bakayoko has found a new lease of life at AC Milan where he’s on loan from the Blues and that has led to talks of a possible stay for him at the end of his loan spell. Did Tiemoue Bakayoko mocked Chelsea? Arsenal legend Henry to pick managerial job at France? Italian Serie A champions Juventus can move a step closer to retaining their league title with a win over AC Milan in their meeting at the Juventus Stadium, Turin on Saturday evening. It’s the battle of the top two most successful clubs in Italian football though Juventus have been the most dominant in recent times. They have won the last seven league titles and are in pole position to make it right league triumphs in a row due to their 18-point advantage over nearest challengers Napoli at the top of the Italian Serie A table. A win over AC Milan will be given Juventus their 35th league title if Napoli fail to pick up any point in their home clash with Genoa. For AC Milan, the challenge is to stay alive in the chase for a top-four spot at the end of this season with the Rossoneri just one point ahead of the chasing pack for Champions League football. Juventus talisman Cristiano Ronaldo is a big doubt for the Old Lady with injury. He has scored in the two meetings with wins over AC Milan this season and a repeat is at the odds of 1.75 according to BetKing. A stalemate and an AC Milan victory is at the odds of 5.00. North London outfit Arsenal have been encouraged in their pursuit of Italian Serie A outfit AC Milan star Franck Kessie as they are reported to be willing to cash in on him for other transfer deals. AC Milan needs to make the signature of Chelsea player Tiemoue Bakayoko permanent at the San Siro as he is currently on a loan deal which is the reason why they seek to have Franck Kessie sold to any club that is ready to meet with his asking price. The North London outfit have been linked with the star player as they hope to have him as a replacement for Wales international Aaron Ramsey who is already on his way out of the club to join the Italian Serie A champions Juventus at the end of the season after agreeing to a four-year deal with the club. There is, therefore, a need to have Aaron Ramsey replaced at the club and Franck Kessie has been identified as a perfect player for the replacement. However, the North London outfit are being discouraged by the fact that AC Milan are asking for a $40 million fee for the star player which seems too big for the Gunners to pay. Arsenal have been linked with the signature of Franck Kessie for a long period of time, and this could be the time to land him at the Emirates Stadium after claims that he has fallen out with the Italian Serie A outfit AC Milan. Franck Kessie is reported to have had an outburst with his teammate Lucas Biglia and has been fined by the club. Both were reported to have exchanged words on the bench as they were defeated by their San Siro rivals. It was claimed that Lucas Biglia made a remark to Franck Kessie which angered him leading him to react by Approaching the Argentine but the situation was saved by the teammates. Suggestions are that the North London outfit could take advantage of the situation and unsettle the player by luring him away from the club in this coming summer transfer window. It is claimed that the Italian Serie A giants will demand within the sum of £38 million for Franck Kessie which could be too huge for the North London outfit to pay. 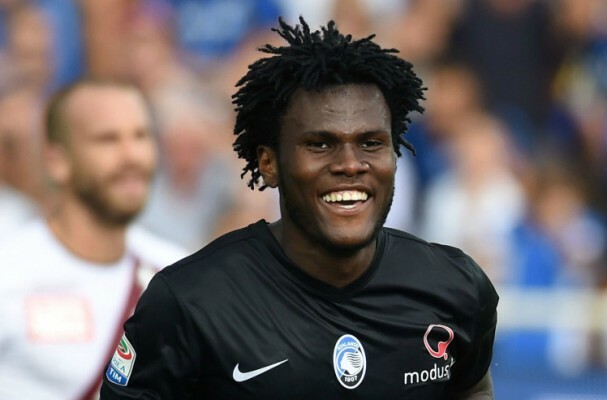 However, the Gunners are not alone in the chase for Franck Kessie as he is also being wanted by Tottenham and PSG. AC Milan striker Krzysztof Piatek has given the hint that he will always have Arsenal at hear because of the moments he had as a young boy and how much he followed the club as a fan. The Poland international is currently with the Italian Serie A outfit where he is improving and growing in the game but his childhood dream is to be at the Emirates Stadium with the North London outfit. He confessed to being an Arsenal fan as a young player, adding that he loved the style of play introduced by former manager Arsene Wenger and the qualities of great players like Thierry Henry and Dennis Bergkamp who are now legends of the clubs. 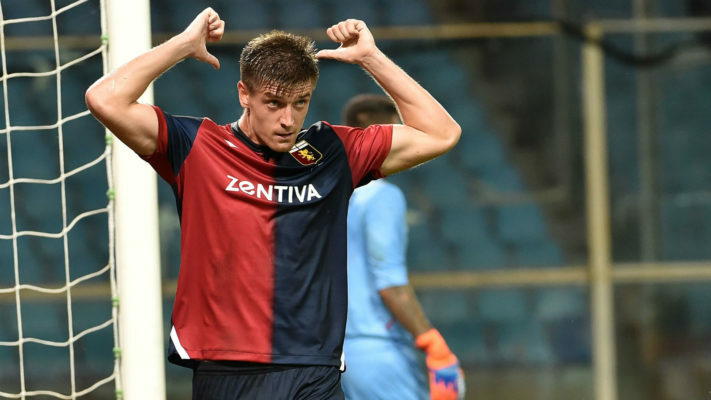 Krzysztof Piatek had scored 19 goals in 21 appearances for Genoa which is the reason why he was called upon by the San Siro side where he is now impressing. Typical of Krzysztof Piatek is his celebration which indicates his gun power. He explained that he did the celebration once and it is now a part of him. He is being encouraged by the fact that football fans in Italy always go crazy each time he does the celebration after each goal. AC Milan midfielder Tiemoue Bakayoko has revealed that his long-term future at the Italian club is not certain despite recent reports which claimed that the Italians are willing to turn his loan deal into a permanent one. 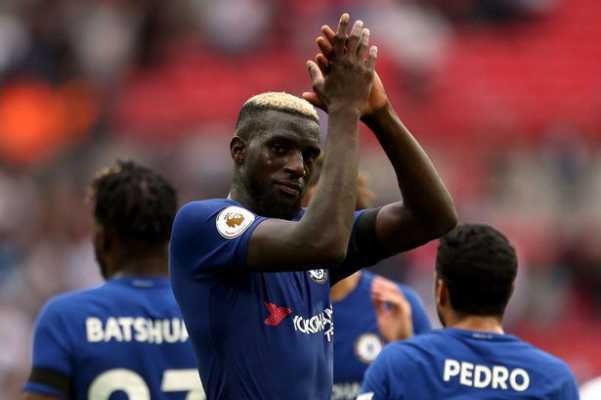 Frenchman Tiemoue Bakayoko is on a season-long loan at Italian Serie A giants AC Milan from Chelsea having joined them at the start of this campaign. The player told France Football that his future is a blur to him at the moment before revealing that his immediate target is to make sure that Champions League football returns to the San Siro. Bakayoko wants to help AC Milan return to Europe’s premier club competition after a five-year absence. AC Milan can make his loan deal permanent for just €35m as stipulated in the loan contract that took him to the club from West London giants Chelsea last summer. The midfielder became surplus to requirements at Chelsea at the start of the season after failing to perform to the height expected at the club following his £40m transfer from French Ligue 1 giants AS Monaco in 2017. Tiemoue Bakayoko rose to prominence on the European stage after he played a major role for AS Monaco as they ended their 17-year league drought by winning the Ligue 1 title in 2017 in addition to reaching the semifinals of the Champions League in the same season. AC Milan striker Krzysztof Piatek continued his rich vein of form for the Rossoneri in their league clash with lowly Empoli on Friday night. The Polish international striker opened the scoring from eight yards out four minutes into the second half before Chelsea-linked player Frank Kessie and Samu Castillejo added further goals to make it a comprehensive 3-0 win over the visitors at the San Siro. Piatek has now scored seven goals in six games for AC Milan since he joined the seven-time European champions last month. 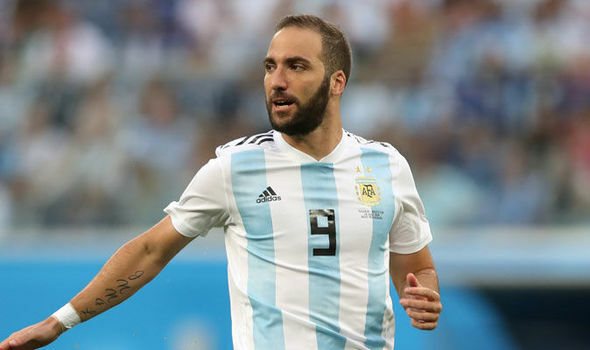 He was linked with a move to Chelsea in the winter transfer window before the Blues opted to sign Gonzalo Higuain on loan for the rest of the season. Higuain had to terminate his AC Milan loan contract to join Chelsea from parent club Juventus and the San Siro giants didn’t waste much time in signing the aforementioned Piatek as his replacement in a £30m deal. Piatek had earlier joined Italian Serie A club Genoa from Polish side Cracovia last summer in a £4m deal. The Polish attacker scored 19 goals in 21 appearances in all competitions for Genoa. He signed for AC Milan from Genoa and has netted five league goals in five games. The AC Milan newbie is the second top scorer in the Italian top flight with 18 goals behind Juventus star Cristiano Ronaldo (19). Seven-time European champions AC Milan would be hoping to consolidate their top-four spot on the Italian Serie A table when they welcome Empoli to the San Siro on Friday night. AC Milan, buoyed by the form of new signing Krzysztof Piatek continue to set the pace for other top-four challengers like AS Roma, Atalanta, and Lazio. AC Milan are expected to secure another victory against lowly Empoli with Bet9ja offering odds of 1.37 for a home win in favour of the Italian giants. An Empoli victory has attracted the odds of 8.30 while a draw is at the odds of 5.00. Polish international striker Piatek is the form man in the Italian top flight. The young striker has been in superb form for AC Milan since he swapped fellow Italian club Genoa for the Rossoneri during the winter transfer window. He was signed as a direct replacement for Chelsea striker Gonzalo Higuain who canceled his season-long loan deal from Juventus despite the fact that he still had six months left on the loan contract. The Argentine international has since joined Premier League club, Chelsea. Piatek has scored six goals in five games as a Milan player and over 1.5 goals is certain with him on the pitch at the odds of 1.17. Can Arsenal challenge Chelsea, Tottenham and PSG for £40m-rated player? Arsenal’s ability to challenge Chelsea, Tottenham and Paris Saint Germain for Italian Serie A outfit AC Milan star Franck Kessie is being reviewed. The Italian news outlet reports that Franck Kessie was first followed by West London side Chelsea before Tottenham and PSG came into the scene to seek for his availability. However, The North London outfit have now joined the race and it is now looking unclear who will win the race for his signature. It is important to note that Franck Kessie is one of the important players in the Gennaro Gattuso team and the Italian boss is not willing to lose him which will make it a tough one for the suitors to land. Arsenal are therefore not ranked amount favourites to land Franck Kessie because of his asking price which can be more demanding for the North London side. Meanwhile, it has been established that the North London club will only secure loan deals this winter window and not permanent deals. AC Milan striker Gonzalo Higuain will only join Premier League side Chelsea on one condition according to transfer guru David Amoyal. The journalist spoke about Chelsea and Higuain on Calcioland podcast. According to him, Italian Serie A giants Juventus must sanction his move to Chelsea before the transfer can be completed. David Amoyal thinks that’s the only condition needed for the Argentine international player to move to Stamford Bridge when the winter transfer window reopens in three days time. Gonzalo Higuain is on a season-long loan deal at AC Milan from rivals Juventus after the Rossoneri paid €18m for his loan contract with the option to make it a permanent transfer for €36m. He started the season impressively with six goals in the first seven games for the seven-time European champions but his form has suffered in recent weeks. Gonzalo Higuain has been able to score just two goals in his last 10 games for AC Milan. Various media reports claim that the 31-year-old could move to Chelsea next month in a swap deal that will see Alvaro Morata move in the other direction. Spanish international star Morata has been amiss at Chelsea since he joined in 2017. Alvaro Morata has scored 22 goals in 69 appearances.